The lights of a yacht on the French Riviera are reflected in the water and in the eyes of four hilariously mismatched lovers. 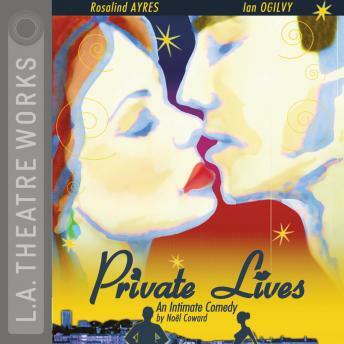 Private Lives shimmers with wit, romance, desire and bittersweet truth. An L.A. Theatre Works full-cast performance featuring Rosalind Ayres, Marnie Mosiman, Ian Ogilvy, Begonya Piazza and Kristoffer Tabori.